Google’s Hummingbird update is currently affecting 90% (yes, you read that correctly) of all searches, and is considered the most comprehensive change to the search giant’s algorithm in the last 10 years. The update has been commonly compared to putting a new engine into a car, yet somehow Hummingbird has been largely flying under the radar. So, what does it mean exactly, and how does it affect small business? Glad you asked. Let’s start with defining the Hummingbird update. In the past, Google has improved its’ search function by improving the way that it gathers information. 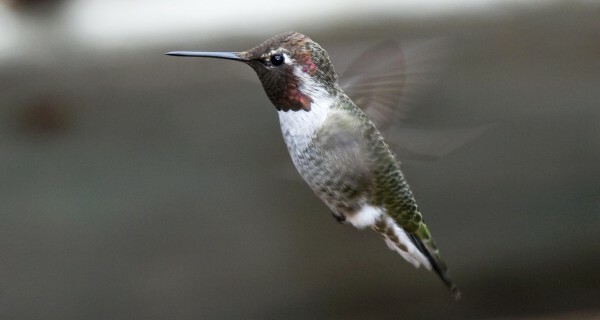 The success of the Hummingbird update hinges on Google’s ability to interpret information. In simpler terms, Google’s previous algorithm versions were centered on understanding the website, while Hummingbird seeks to understand the user. The core metric that Google is using to understand and interpret search intent is through the dissection of search queries. In the past, Google would serve results that directly included search terms and keywords, a result of dissecting each term in a specific search. Today’s Google takes a search term contextually, factoring in how a user communicates, where they are located, and what their friends recommend and care about. In short, Hummingbird is about serving up search results that are relevant and helpful based on context rather than keywords. 1. Think like a panda. Be helpful for your audience. Since Google’s update is more geared toward specific intent behind searches, businesses should be thinking about how they are creating content that their consumers are likely to be asking. That includes creating content that answers “how” and “why” questions, which Google notes are likely to be included in search queries. Create a spreadsheet and build a list of questions that your community might ask about you, your products, or your services. Be specific and include long-form questions, not just the short-form ones. Talk with each department within your business to properly identify your core questions. 2. Be intentional about creating local content. The three most important words in real estate are quickly becoming critical words in SEO as well: location, location, location! Move beyond listing your address on your website, and start utilizing your blog and social channels to discuss relevant local events and news. You may think in terms of semantics here (i.e., what specific issues does your city or community have that your product or service addresses? ), or you might think in terms of engagement (i.e., what local events will your company have a presence at that you can promote?) There are lots of ways to create local content, but it all begins with breaking the content production barrier. 3. Acquire relevant local links. And optimize your local listings. Building your local link authority takes time, and should be a selective process if you are to see maximum results in your search engine performance. Even in local SEO, relevancy is the important metric. Think quality over quantity. We might think of local links as opportunities to develop local thought leadership. Can your business sponsor a community wide event that is somehow related to your industry? Can someone on your team speak about your industry or service at a college or educational event? Does it make sense for your business to create a scholarship targeted toward local students who are interested in your industry? These questions are representative of a local listing strategy that hinges on relevancy rather than prostituting for links. Small businesses should also ensure that they are properly listed on major directories, as well as local directories. Make sure that all your information is up to date and accurate, and provide fresh content where necessary. 4. Obsess about capturing reviews. In this new conversational world, reviews are increasingly important for search engine performance. Populating reviews on open platforms, such as Google+ and other reputable review sites will communicate credibility to Google. As Google crawls your site, they will find that your business is being favorably reviewed, indicating that you are a helpful and relevant source to your audience. Thus, your rankings will improve. You should be asking for reviews at the completion of every job, or within a small timeframe of a purchase decision. You may send an email out with an embedded link, and encourage your customers to leave their reviews by providing a coupon for their time. You might train your front office staff to kindly remind your customers to leave a review, or have a reminder card with a QR code that takes your visitor to your reviews page. As contextual search gains momentum, reviews will be a great asset to displaying reputation and credibility to search engines. And beyond that, opening up a channel for customer-generated reviews just makes for great business etiquette. Conversational search doesn’t have to be a scary world for a small business looking to rank for a variety of contextual terms. I believe that Hummingbird is a great opportunity for small businesses to be more competitive in search. Small businesses have a footprint already established in their community, and can create specific local content that will play strongly into the heart of the algorithm update. The metric that will determine your success from this point forward will be relevancy. How frequently are you talking, and what are you saying that is of value? No matter how simple or complex your SEO strategy, always start here.